I love what I do, it’s as simple as that. Being outdoors waiting for the light as the weather changes is exhilarating, exciting, frustrating, rewarding, motivating and makes me feel alive. The early starts are not an issue. ‘Being there’ when the world wakes is a joy, a privilege and always different. The evenings are slightly easier to plan but nonetheless just as rewarding. Watching as others take in the display that mother nature provides, that I see more than most, and the awe on their faces is pure delight. Sharing the tiny part of our world that I live in, with it’s ever changing, beautiful facets, is simply wonderful. This is my job and it’s the best job in the world as far as I’m concerned. I provide images to magazines, calendars, the National Trust and the general public via my website and at arts fairs. 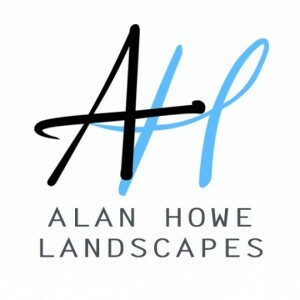 I also run workshops and courses helping others experience the joy that is the art of landscape photography. I’ve given talks at several photographic clubs and always enjoy the reaction from the members and answering the questions to help them progress with their own photography. I’m also a Kase Filters official distributor and you can find a range of excellent Kase equipment for sale on my site here. Born in South West Devon I consider myself to be very lucky. There’s the south Devon coast with its rugged cliffs and many unknown coves and beaches just minutes away from home. And then there’s Dartmoor, with it’s isolated beauty, weather beaten Tors, ever changing colours and it’s many secret woodlands, rivers and hidden villages just 5 minutes away. I consider Dartmoor my office, as it’s where I do most of my work. There’s also Cornwall with its fantastic beaches and moorland to explore and experience just a few miles away. I got into photography when I was a teenager using a 35mm film SLR and learned the techniques needed to use it properly. In 2010 I was given a Sony DSLR for a birthday present and learned the joy of digital photography. I decided one day I’d give up the day job and go professional as I’d reignited my passion for photography. I now use a Nikon D7000 and Nikon and Tokina lenses with Kase filters system perched on a Benro tripod. I’ll visit the same places again and again at ridiculous times of the day when most people are tucked up warm in their beds. Or I could be chasing around close to sunset trying to find the composition. I find though, when I’m waiting for the light I’m relieved of the need to think about anything other than the smells, sounds and textures of nature, the play of light and shadows across the land. The whole experience makes the effort worth it. Processing or ‘manipulation’ is kept to a minimum. I use Photoshop, as do most photographers, but spend no more than 10 minutes on each image. It’s part of the workflow that digital photography requires. I use simple techniques to get the images you see here. I’m lucky to have another landscape photographer as my partner as she understands the ridiculous alarm calls and the standing around waiting. Obviously she has her own work and website. That very understanding and talented woman is Phil Starkey. I hope you enjoy browsing through this selection of my images. I have many more that are not on this site. Please don’t hesitate to contact me with any queries. Photography workshops, gift vouchers, prints and canvasses are all available to purchase online.